The best thing about being in Western Australia over the festive season is indulging in all the delicious home grown gourmet foods available to us. A Buzz from the Bees is considered one of Perth’s finest pure honey specialists. Their therapeutic balms contain a synergistic blend of natural ingredients designed to promote good health, and their honey varieties are liquid gold to the senses. Today I am sharing with you A Buzz from the Bees Burracoppin Mallee Honeycomb A.K.A.”Work of Art!” The hexagonal wax cells of geometric perfection are almost too pretty to eat. I said almost, right? The honeycomb is a nutrient-rich snack, sweet light and chewy with its own unique natural flavor. Harvested straight from the beehives, having no contact with chemicals or pesticides, this purest of honey also contains nutritional and medicinal benefits. You can apply it topically or enjoy it smeared over a piece of toasted artisan bread, whichever way you choose to indulge in it, it will surely be decadent. A Buzz from the Bees Honeycomb is a truly unique healthy natural product. The Honeycomb due to the design of the comb and hives is untouched by human hands. The health benefits of the Honey and Bees wax together have been known for centuries. Honey has been an important part of the human diet from prehistoric times, and also has a long history of use as an active therapeutic. There is an extensive body of literature describing its physical, chemical and functional properties, and some of this discusses honeys from native Western Australian floral sources. There are indications that some Australian floral species may yield honeys with valuable dietary attributes such as low glycemic indices and prebiotic properties, and therapeutic attributes such as wound healing and anti-fungal and antibacterial properties. The Honeycomb comes to you as a 100% natural product, there are no chemicals, no added products. The sections have been filled naturally by the Bees. 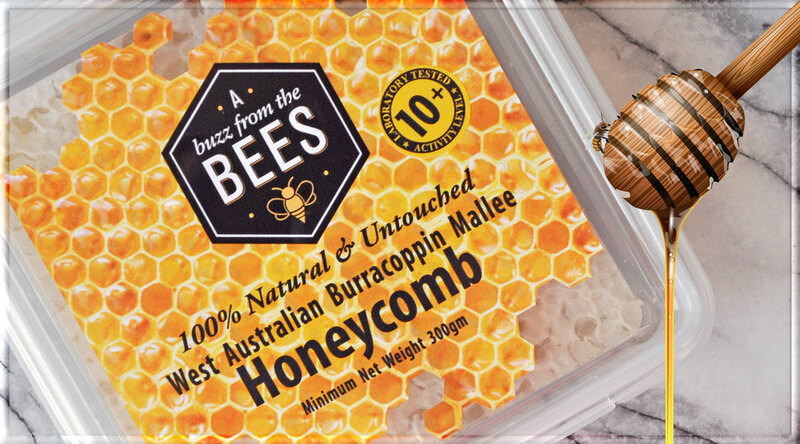 Not only is A Buzz from the Bees Honeycomb a great healthy food product, but also a uniquely Western Australian taste sensation. Be sure to support our local WA businesses by gifting local products and produce this festive season. This Honeycomb is available for purchase online at A Buzz From The Bees and can be shipped worldwide. I know, right? Apparently chewing the honeycomb wax is also good for sore throats snd allergies. I love it too 🙂 Thanks Fiona! I love raw honey and use it every morning in my coffee. I always buy the ones locally made, from the farmers market. I’ve never gotten a whole honeycomb though – how pretty! Once you do it’s so hard to stop 🙂 soooo moreish! 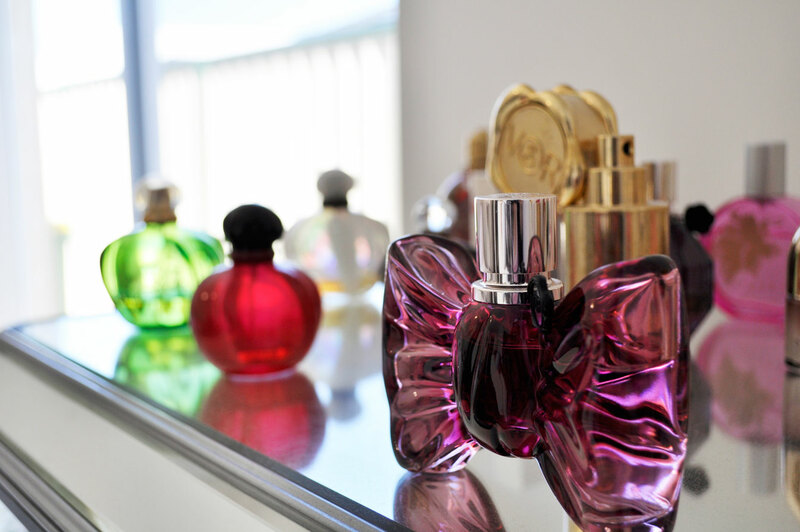 Beautiful posts and pictures, beautiful blog. Oh wow this looks AMAZING!!!! Making me hungry! Hi Amy, I am subscribed to your blog and I like your recipes. I am a food lover. My current blog is jinninabottle.wordpress.com which you are already following. I just started recently and by now I have received extremely good response. For future growth I just have migrated to another address jinninabottle.blogspot.com. I am going to post there everything related to food. Please check out the blog and i will be more than happy if you follow me there. Thank you.